We’re finally at the end of January! I don’t know about you guys but I can’t wait for some warmer weather, not that there is a great deal in the UK! Despite January feeling as though it’s been going on for over a year, it has had its perks, and this post is all about the little things that have made January that bit better. With that in mind, I’ve decided to make a ‘loves’ list at the end of every month, to highlight all the good that has happened, however big or small, as it will be nice to look back on. So here are all of the things I have loved this January.. Probably the most wanted mascara of 2017 right? I have been using it throughout January and I have to say, I’m impressed! I don’t usually go for the thinner brushes, but I quite like how this one grabs the lashes and makes them look fuller. I have a bit of a love/hate relationship with mascara, purely because I’d love to make it through half a shift at work without looking like a panda. I haven’t had this issue with Troublemaker, and I’m glad because it’s become one of my favourite products. As if you needed any more reason to try it, look at that packing, all prismatic and metallic, so dreamy. Much like Green’s other books it has love, heartbreak, humour, loss, and friendship, but the main theme of TATWD is mental illness. It is an extremely interesting read, particularly if you want to learn about what it is like to live with a mental illness. Admittedly, my hair has probably had it pretty rough this winter, what with the party season and the baltic weather, it was in need of a pick-me-up. I spied this little beauty on a lunch break and decided that my evening was going to be an all out pamper, which included snacks and Friends episodes, of course. I have used this product twice now (once a week for me! ), and I am really impressed! Not only does my hair feel more moisturised, but it also gives it that ‘just finished up at the hairdressers’ shine, and god knows we all want that in a simple form, well here it is in one bottle! I’m also impressed by the wait time on this, only 3 minutes! So it’s perfect if you’re pressed for time but still want a little pamper. Aussie Miracle Deep Treatment, you can stay. So two days out of my January consisted of binge watching this, the show that everyone has been raving about. If you haven’t seen it before it’s based on the true story of the FBI trying to hunt down an elusive terrorist known as the Unabomber. I have to admit I didn’t know much about the real event until I started watching this series, but it is incredibly interesting. Season 1 is on Netflix, so grab a mug of something hot and some biscuits and get settled in for eight gripping episodes. These are my latest obsession. After seeing a lot of fashion bloggers sporting them, I fell in love, but it was one of those, will they look that good on me or will I just look like I’ve cut off some of my curtains and stuck them to my ears situations. Luckily, the pair I had for Christmas don’t make me look like I’ve been doing curtain arts and crafts, they are lovely. These beaut’s are from Primark and are only £3! They now also come in black, pale pink, grey, hot pink, white, and purple. You have my full permission to leave this post to go and get them! So I’m a little late to the party with this one, but there is no stopping me now, I’ve become a little obsessed with this show. Believe it or not, I hadn’t heard of this show until a few weeks ago when my Twitter feed became clogged with tweets about an Amy and a Tom from the show. So predictable me had to find out what had happened and that’s when I became hooked. For those of you that haven’t seen the show, it focuses on three different couples who, as you can guess by the title of the show, aren’t together anymore. The three couples meet in an apartment/hotel to talk and answer questions about why they broke up, and can choose to spend the night with their ex if they wish. I know what you’re thinking, who would actually want to sit in a room with their ex?! It has become my guilty pleasure, to the point where I am all caught up and waiting for next week’s episode. I think my favourite episode has to be the one with the couple Joseph and Ellie, trust me; it is something you have to watch! January is one of those months that feels like the longest month ever, but at the same time you still find yourself saying ‘How is January nearly over?!’. In typical fashion, it’s approximately nine days until payday (not that I’m counting) and I have seen so many things that I want! As much as I love Winter I am ready for the lighter evenings, brighter clothes, and not doing a Joey from Friends and having to wear ALL of the clothes to keep warm. Although we are quite a way off from Summer, it’s so nice to see all the new fashion coming through, kind of gives you hope that we’ll actually have a Summer here in the UK! So with payday on it’s way, I thought I’d put together a list of all the things I have had my eye on and cannot wait to chuck in a basket. I think my favourite trend at the moment, as you can probably gather from my wishlist, is the clover green colour that seems to be everywhere! I have a real thing for blazers and this green one from Zara is definitely one I need in my life, it also features pearl detail on the cuffs, so cute! Topshop are really getting it right for me at the moment, particularly in the bag department. I have been lusting after this black cross body bag for a couple of weeks now, so much so that I am tempted by the two other colours (grey and green if you’re curious). Also I am really loving H&M’s jumpers at the moment, there’s colour block, balloon sleeves, and uber cosiness. I’m a little bit in love with the one below and can see it taking me through to Summer. Oh, and if you’re looking for a comfy pair of heels, I cannot recommend Topshop’s Hale heels enough! I have them in black but they have just released them in a pale pink, burgundy, and khaki, and I am now a convert. The burgundy and khaki are definitely on my to buy list! What will you be buying on pay day? Sixteen-year-old Aza never intended to pursue the mystery of fugitive billionaire Russell Pickett, but there’s a hundred thousand dollar reward at stake and her Best and Most Fearless Friend, Daisy, is eager to investigate. So together, they navigate the short distance and broad divides that separate them from Russell Pickett’s son, Davis. Turtles All The Way Down was easily one of my most highly anticipated reads, it even featured on my Christmas Book Wishlist here. I couldn’t wait to pick up a copy after loving its predecessors The Fault in Our Stars and Looking for Alaska, must reads if you haven’t already. Previously, John Green has bowled me over with his writing style, it is unique and unafraid, it is clever and thought provoking, it will break your heart throughout but leave you feeling whole in the end. That being said, I had really high hopes for Turtles All The Way Down, I wanted it to pull me in and make me fall in love with a new set of characters, and in true Green style, it did not disappoint. Turtles All The Way Down focuses on Aza, a sixteen year old who suffers with anxiety and severe obsessive compulsive disorder. Aza and her best friend Daisy decide to investigate the disappearance of local wanted billionaire Russell Pickett, in the hopes of receiving the hundred thousand dollar reward. Aza previously attended camp with Pickett’s son Davis, which Daisy see’s as their ‘in’ for finding clues and getting the money. While being presented as a mystery tale, Green encapsulates so much more into it – such as the themes of loss, friendship, love, mental illness and hope. While the mystery aspect remains throughout, the focal point of Turtles All The Way Down are Aza’s anxiety and OCD illnesses. From the very first page we are immediately immersed in Aza’s thoughts, compulsions and feelings. Aza is consumed with thoughts of not being in control of her own body, of it becoming infected and taken over somewhat. Green depicts mental illness in a way readers can understand and relate to, a scene that really stood out for me is when Aza is describing how her mental illness makes her feel. Aza and Daisy attend an underground art show where they are required to wear hard hats with lights attached. Aza tells Daisy to turn the light off on her hat and as they do, she begins to explain how it feels to be in the dark, senseless, floating, not in control, a metaphor for how she feels when she is scared. I thought this was a very simplistic, yet captivating way to describe how Aza sees herself and her mind, and a moment that really solidified the relationship between the two girls for me. As well as her friendship with Daisy, I love the way Green portrays the relationship between Aza and Davis. Both characters have been connected by loss since their first meeting at camp and this is also the case when they meet again. I really liked the character of Davis and how we were given insights into his point of view through his blog posts. Much like TFIOS, I loved reading the text conversations between these two characters, short and sweet, but depicts their connection perfectly. Both Davis and Daisy are interesting characters in their own right, who have their own complexities and issues and whose lives I’d love to read more about. In terms of Green’s characters, both in this book and previous, there is the opinion often in reviews that nobody actually talks how they do. I think Green writes teenagers extremely well, they are layered and highly intellectual, plus I personally think it is nice when we get some of the author’s voice through the characters. I think that the opinion that Green’s characters can often sound a lot more mature than they are highlights why his books are set apart from the rest, much like his characters, they are unique. My favourite aspect of this book was the portrayal of mental health; it is honest and more importantly, un-romanticized. Turtles All The Way Down does not shy away, and shows how Aza deals with her anxiety and OCD in ways that can be very difficult to read. In addition, there is no attempt of a quick fix to make everything happier, Aza lives with her illness day in, day out, in love or not and will continue to for the rest of her life. Despite this there is always a level of hope maintained throughout the book, and you will root for Aza throughout. Overall I loved Turtles All The Way Down, so much so, I read it over a couple of days and I just couldn’t put it down! It is honest and real, and great if you want to gain insight into what it is like living with a mental illness. Turtles All The Way Down, much like Green’s other works, will leave you with a new perspective, greater knowledge, questions and really, what more can you ask from a book? This was a superb read and one which I will no doubt be picking up again soon! Have you read Turtles All The Way Down? What did you think? Sometimes I think it can be quite easy to focus on all the things you should be doing or what everyone else is doing, that it can be quite easy to forget all of the amazing things you have accomplished already. With the New Year already a week in and everyone looking to the future, I thought it would be nice to do what everyone tells you not to do, to look back, not on the negatives but all of the positive things that have happened in the past few years that I can happily check off my bucket list. This has always been at the top of my bucket list, to have my own words in print with my name underneath. I achieved this while on work experience with a local newspaper, and it was just the most fantastic few weeks. If you have a love of writing then you will know what it means to have your own work out there for all to see aka the dream! The other dream on my actual bucket list is to write my own books one day, but that one is still a dream for now! This was a huuuge step that we took just over a year ago! Although kinda scary, it is one of the best things I have ever done. That isn’t to say that I don’t miss home, but more that it felt like the right time for me to take that step, plus after moving out for university a couple years before, you kind of miss your own space. So currently we are in an apartment, but saving our pennies so we can start house hunting! Exciting times ahead! Last year I was determined to start writing on a regular basis, about my life, the things I love, and everything in between. 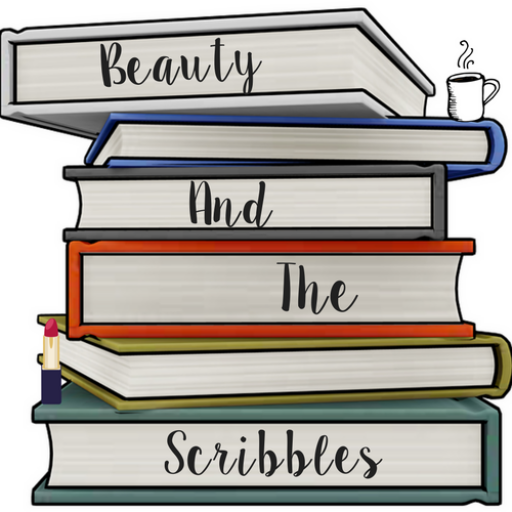 It’s been almost a year since I created Beauty and the Scribbles, and I couldn’t be without it now! This year I am hoping to develop it further and give my blog a makeover in the near future, it can only get bigger and better! I don’t think I have ever felt more proud of myself to be completely honest. I will never forget finding out that I had achieved a 2:1 in my Journalism combined with English Language Degree. I was in Liverpool on a Hen weekend getting ready to leave the hotel, when I checked Facebook and people were posting about their results, cue that sinking feeling and sheer panic. I quickly tried to log onto the Portal to get my results, but couldn’t get on it, so rang my boyfriend who promised to log in for me and tell me my results. How bloody nerve wracking knowing that someone knows your results before you do, right? Needless to say, the rest of the weekend was a fabulous double celebration! Last year I was lucky to see The Weeknd in concert with my best friends; I have wanted to see him live for absolutely ages! Then I surprised my boyfriend in Krakow with tickets to see The Killers, a band we have wanted to see live for absolutely ages. Writing this list has left me with a big smile on my face as it can be quite easy to forget just how much you have actually achieved and done. Having a bucket list is great for goal setting and looking to the future, but sometimes it is okay to look back because you did some great things back there. Do you have a reverse bucket list? What would you put on yours? Let me know or leave links in the comments below! First of all, Happy New Year you lovely lot! I hope you had a lovely time however you chose to celebrate! I spent New Year with my family and boyfriend, we went for a meal and a few drinks, it was a lovely way to see in the new year. 2017 was a pretty good year for me on the whole, that’s not to say it didn’t have it’s testing moments, but it wouldn’t be life without those. Every year, a couple of days into the New Year, I make a list, and not of resolutions. I really don’t like resolutions, all they bring is disappointment because you haven’t completed them in the time frame you set. I prefer to make a list of goals which I have until the next New Year to complete, if I don’t complete them, they get added onto next years list. I find I complete more of my goals this way, and love crossing off what I have achieved at the end of the year. Start Learning to Drive Again – I started driving a while ago, but stopped my lessons when I moved to Chester for university. If I’m being totally honest, I hated driving, I found it stressful and hated making mistakes. I really want to be able to drive, but the thought does make me feel uneasy at times. This year I’m going to face that unease and start learning again, if I’ve almost done it once, I can do it again! Travel to at Least Two New Places- Like many of you, I absolutely love travelling, there’s nothing like the excitement of hopping on a plane to a completely new destination! My aim is to travel to a minimum of two new places this year, one up from last years which was Krakow. Re-join the Gym – Cliche goal I know, but there is a reason for it. My boyfriend and I have been looking for another gym after leaving our previous one, we just wanted more from it. We think we have already found our potential new gym, we will be going for a taster day in the next week or so! Visit Harry Potter World – This goal has been taken from last years list, as I still haven’t been 😦 For those of you that don’t know me, I am a big Harry Potter fan (I’m a Hufflepuff according to Pottermore, what are you? ), and this is a must for me this year! Focus on Friendships – As you get older, things get busy and it can be pretty hard to tend to all of your friendships like you did back in the school days. I’m making it one of my main goals to nurture those friendships that I know are lifelong and create new ones. Read 40 New Books – Self confessed bibliophile here! I want all of your book recommendations this year, 40 is my minimum goal for this year! Focus on Self-Care More – Again, another that is easy to neglect because of business. This year so much more time will be dedicated to this, even if it’s just an evening watching my favourite film, lighting a candle, spending a whole day in my pj’s eating bagels, or going for a walk. Say Yes More – This is something I am taking with me from 2017, where it’s a kind of ‘face the fear and do it anyway’ goal. Public speaking? Absolutely hate it, but did I stand up and compare a fashion show in a room full of 80+ people? I only bloody did and felt so proud of myself afterwards! Hit 1,000 Followers on Beauty and the Scribbles – This year I’m looking forward to focusing on my blog so much more and growing my following! Hit 2,000 Twitter Followers – Looking forward to joining more Twitter chats and interacting more with everyone. I love the blogging community and would love to engage more with it. Blog Weekly – Another of my main goals is to blog every week without fail! My blog is my passion, it is my space to write, create and reflect, and I couldn’t imagine being without it now. This year I’m going to pull greater focus towards my blog and help it continue to grow! I am really looking forward to the year ahead and everything it brings, especially if I can smash all of these goals along the way! Here’s to you 2018! Let me know your New Years Goals, I’d love to read them! Leave your links or comments below – and obviously let me know which HP house you’re in! Enter your email address to stay up to date with everything Beauty and the Scribbles!